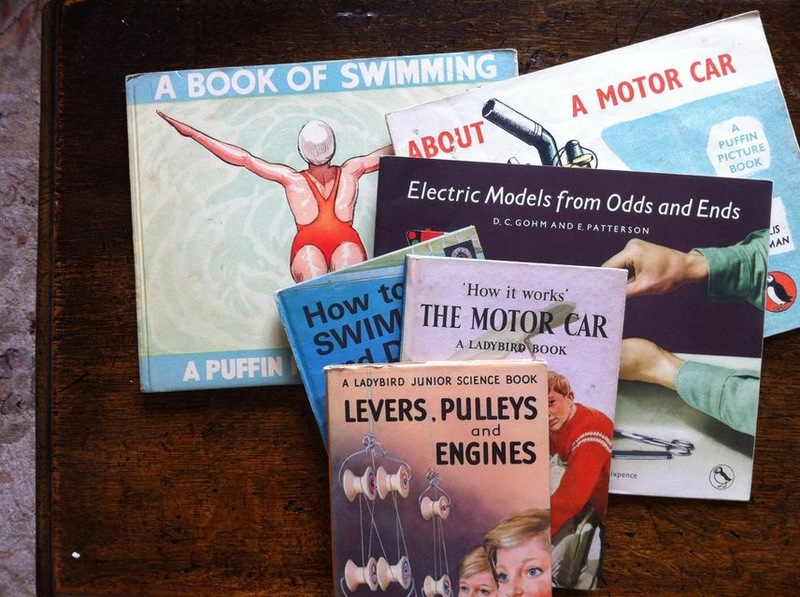 Why did Ladybird become so successful through the 1950s and 60s? With the steer of Douglas Keen, Ladybird began to commission more and more non-fiction titles. These titles clearly filled a gap in the educational market and I have read articles that imply that Ladybird were unique in their offer to this sector. But recently my husband came back from a car boot sale and produced some Puffin Picture Books, which I found intriguing. The titles looked very similar to Ladybird titles, they seemed to have the same market in mind and the dates were much earlier than I had realised – one of them, published in 1946) even pre-dating Ladybird’s venture into non-fiction. In the picture above you can see 3 Puffin Picture Books and their (later) Ladybird equivalents. Clearly when Ladybird came along, Puffin was already occupying the space in the publishing market – non-fiction for children – that was to be dominated by Ladybird for the subsequent few decades. And they cost less money – between 1 and 2 shillings. So then, why did Ladybird go on to achieve such phenominal success – leaving Puffin to move across and to focus mainly on the fiction paperbacks, overseen by Kay Webb, that I remember so vividly from a 1960s/70s childhood? I think the answer becomes clear when you open up one of the Puffin Picture Books. 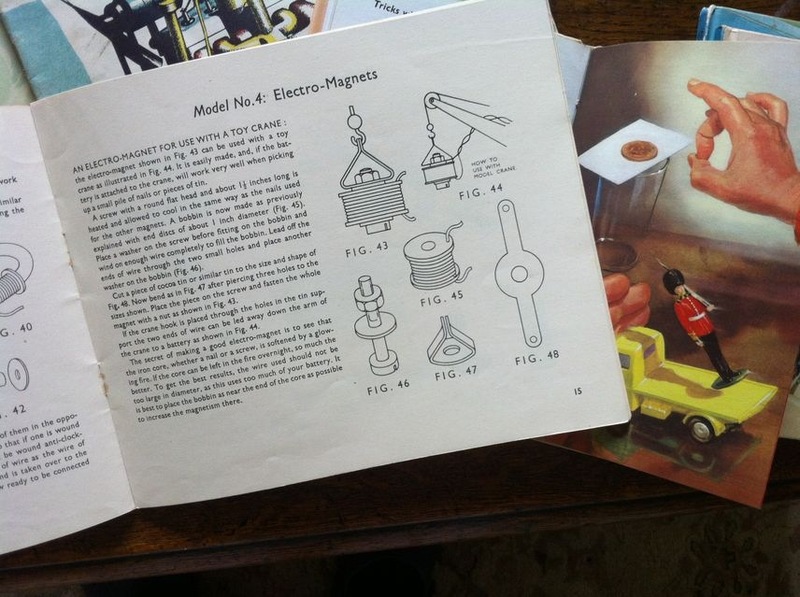 Although there are some colour pictures in the Puffins – the primacy and attractiveness of the Ladybird illustrations is of quite a different order – as you can see from the picture on the right: one from “Electric Models from Odds and Ends” and one from the Ladybird Junior Science series. It’s all about the artwork. Helen, you are right in what you say although the Puffin colour pictures were quite outstanding sometimes and often much larger than Ladybird artwork. However, the books were flimsy with thin, not board, covers and the Ladybird Book size was compact and robust. Yes, true of course that the neat, compact size of Ladybird Books was another major factor in their success – not only, I think because they were so adapted for young hands but also because the small page size forced the writers' to be very concise. What I hadn't realised until husband bought these Puffin Picture Books was that they came in either hard or soft cover. At least in the mid-1940s, the price is advertised as 2 shillings for hard back and 1 shilling for the flimsy covers you describe. And both prices are cheaper than Ladybird Books ever were!